Living in a country as diverse as Canada, schools should reflect a variety of cultures and ethnicities that their student’s belong to. With a large student to teacher ratio in Regina classrooms, how are teacher’s honouring different life experiences and ways of knowing to give each child’s culture representation in the classroom? The staff and teachers at Albert Community School have done a phenomenal job at figuring out the cultural demographic within the community. They have incorporated authentic knowledge and resources into the learning environment to honour different ways of knowing. 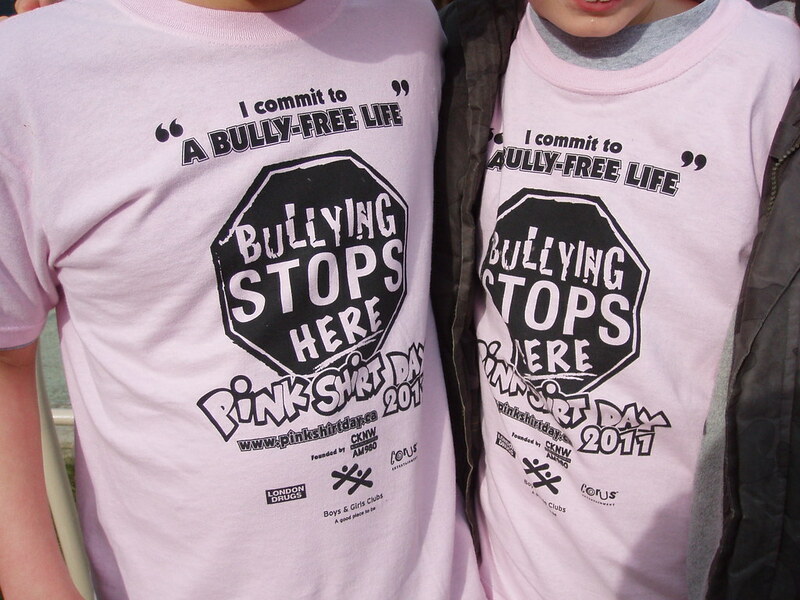 Upon walking into Albert Community School this past week, I noticed that they were preparing for Day of Pink which is an initiative for anti-bullying that can be learned more about by clicking on the link provided. Along with the decorations around the school and classrooms, resources were pulled from the school library for the staff to use in the classroom. I gathered from staff that this sort of support was not exclusive to Day of Pink. Along with these resources picked for the staff I also learned that each teacher serves on a group or council every year directed at different issues that affect the school and students. This provides great opportunities for teachers to participate in group thinking to solve the problems surrounding the learning environment. Through this collaboration teachers are able to have in depth insight into the different areas that the school needs the improve. With this type of support I can imagine that teachers who know nothing about a specific culture or way of knowing would have resources within their school to learn. Along with in school supports such as library resources, colleague support, and group insight, the teachers also turn to the internet. Blogs and online messaging is a big part of the teacher lifestyle. Connecting with others and sharing information is how many of the teachers at Albert Community School are able to stay on top of the growing demand from students and parents to expose the students to a multitude of different ways of knowing. Sitting in a classroom is a great way to learn, but for many of the teachers at Albert Community School they have not stepped foot in a lecture hall since they achieved teaching status. Despite this, their bank of knowledge continues to grow. We know that learning can take place in and outside of the classroom. Teachers are utilizing a plethora of resources on and offline in order to continue growing their own professional knowledge. The information learned in an education lecture is generalized for the entire teaching profession, but through individual learning the teachers are able to personalize the knowledge that they want to learn to fit their specific circumstances. For example, a teacher may be tasked to teach a student who suffers from s specific learning disorder. This teacher may then turn to the student’s previous teachers for insight and suggestions, the parents to make realistic goals, and the internet for ideas and advise. All of the teachers at Albert Community School attended similar university courses and filled much of the same requirements. Yet, they each have a unique approach to educating and have built an individualized professional portfolio of knowledge. Each took their careers in different directions and began utilizing the resources surrounding them. It is through this in depth analyzation of the teachers at Albert Community School that I learned teachers are as diverse as their students.